Force India will take to the grid for the 200th time in Austria this weekend. Luke Smith looks at why the team's achievements should not be downplayed, and why it stands as one of F1's modern-day feel-good stories. Sunday’s Austrian Grand Prix may not offer a huge level of significance to the majority of the Formula 1 grid, but for Force India, it will be a point of celebration. Starting 200 races is a mighty achievement for any F1 team, particularly in the sport’s modern era when operations often change hands or identities with a decent amount of regularity. But over 10 years since the team first rolled out as Force India with the 2007 Spyker car decked in burgundy, white and gold colours, it has established itself not only as a firm part of F1’s grid, but as one of the pluckiest members of the sport’s paddock. We must not lose sight of Force India’s roots. When it took over from Spyker, and following the departure of Super Aguri four races into the 2008 season, it firmly stood as the backmarker team in F1, comparable to Sauber in recent years or, as of 2018, Williams (a remarkable comparison to draw). It had to wait until that magic weekend at Spa in 2009 when the stars aligned for Giancarlo Fisichella to score a remarkable pole position to pick up its maiden points - eight of them scored for second place - and it was not until its third season that it really became a regular points-scoring outfit. A real shot in the arm came in 2014 with the revised technical regulations, making its partnership with Mercedes all the more critical thanks to the German manufacturer’s edge over the other power unit suppliers. Sergio Perez was able to grab a plucky podium in Bahrain, while Nico Hulkenberg regularly featured in the points, allowing the team to double its points total in 12 months. It was now a real force in the midfield. But it didn’t regress as the other teams and engine suppliers caught up. Instead, Force India kept the momentum going, rising to fifth in the standings in 2015 before hitting the heady heights of fourth the following year, making it the ‘best of the rest’ behind F1’s ‘big three’ of Mercedes, Ferrari and Red Bull. It held on to the position for 2017 too, comfortably beating the rest of the midfield runners as it scored points in all but one race. 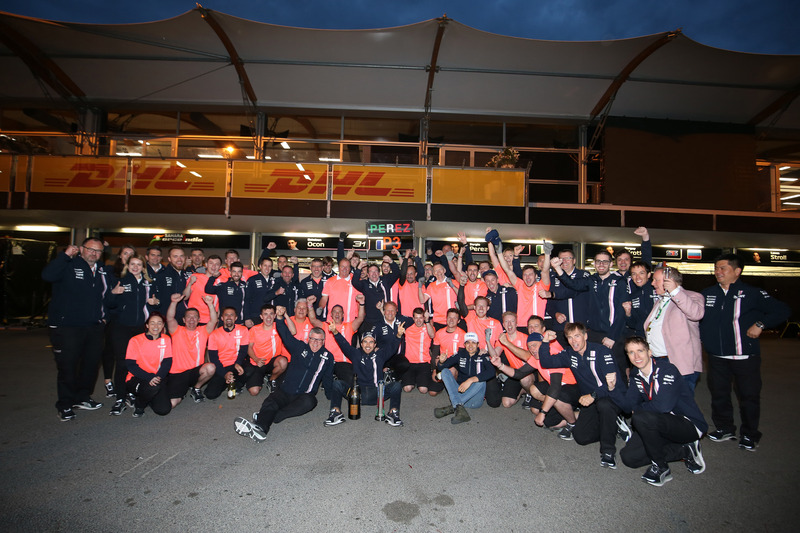 Force India grew, but always kept a focus on making its resources go a long way and achieving impressive results given its relative size to the teams around it. The team has always been a big believer in young talent. Hulkenberg and Perez are perhaps the best two examples, the latter getting another chance to prove himself in F1 after being chewed up and spat out by McLaren. More recently, Esteban Ocon has found a home at Force India, with the Frenchman explaining earlier this week why it has been such a good fit for him to grow into F1. “I am very impressed with Force India since I have been in the team,” Ocon said. “Knowing we are one of the smallest budgets on the grid and seeing what car and what performance we have is just very impressive. The budget doesn’t go anywhere else than in the car - that’s one of the strengths of this team. “You need to realise it is hard for the team and we are fighting with the best, more or less at the front. It’s very impressive. But some big challenges are on the horizon for Force India. The team’s current financial struggles have been well-documented, leading to a delay in the updates for its 2018 car. With Renault, McLaren and even Haas on the rise, the battle for fourth in the constructors’ championship is fiercer than it has been in a number of years. All the while, team owner Vijay Mallya continues to fight extradition to India, which, while not directly impacting the team’s racing affairs, does very little to aid them. Rumours of a sale to ‘Rich Energy’ have been circulating since the start of the season, despite the team denying there have been talks, while Andretti Autosport has been linked with a takeover in more recent weeks as part of F1’s push to expand its American interests. 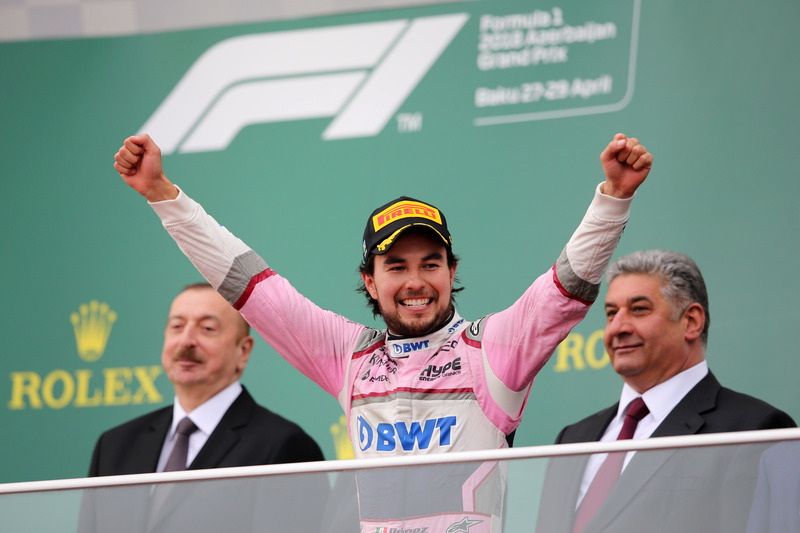 It’s hardly a certain time for Force India - but all you have to do is cycle back five races to Baku, when Sergio Perez scored an unlikely podium finish, to see just why the team is one of F1’s feel-good stories. The celebrations were genuine and heartfelt, acting as a surprise amid the perceptions of predictability. At a time when there is widespread doom and gloom over the lack of competition to the front-runners, Force India is springing upsets on a regular basis by beating its better-funded midfield rivals. Its achievements should not be understated. 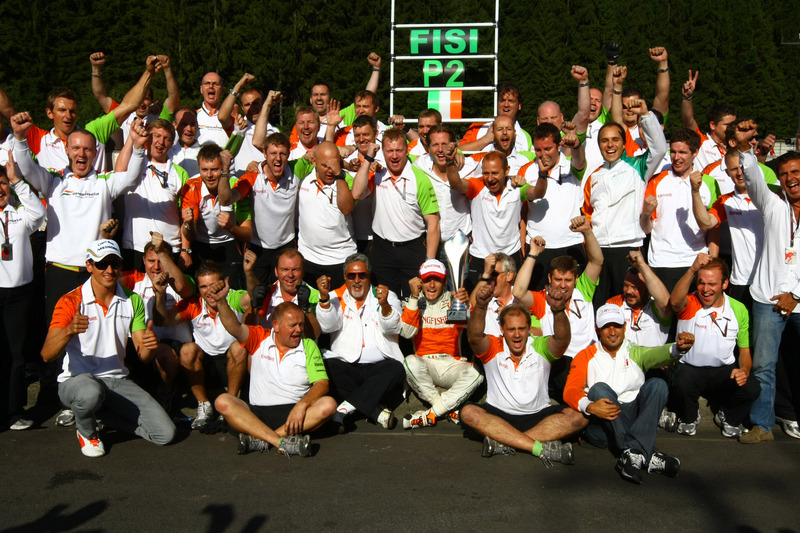 Happy 200 races, Force India. Thanks for making the F1 world a better place over the last 10 years. Here’s to the next 200.